Not All dreams cost you a Fortune. 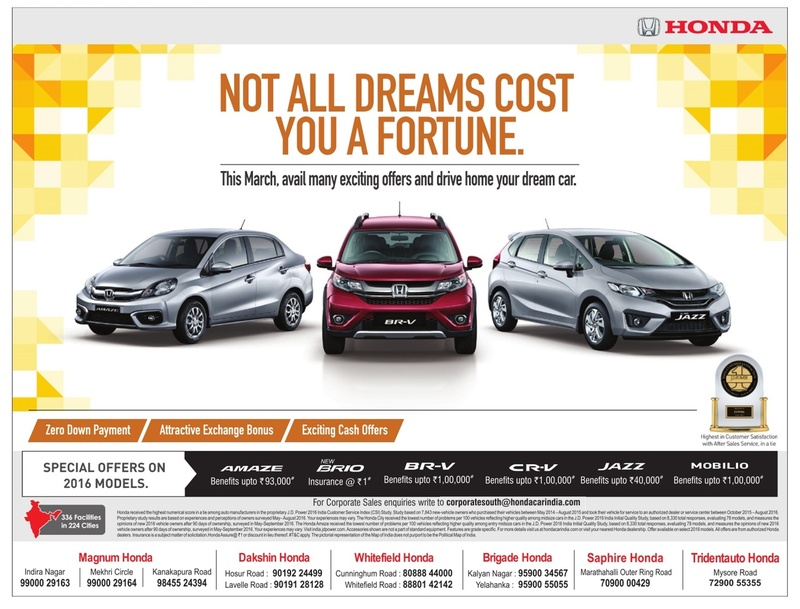 This March, avail many exciting offers and drive home your dream car. 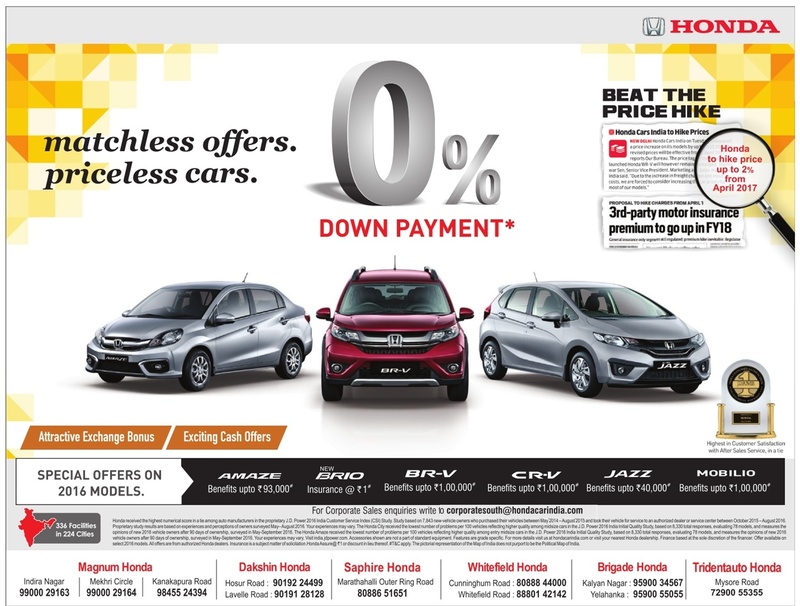 Zero down payment, Attractive Exchange bonus and Exciting cash offers. Special offers on 2016 models. 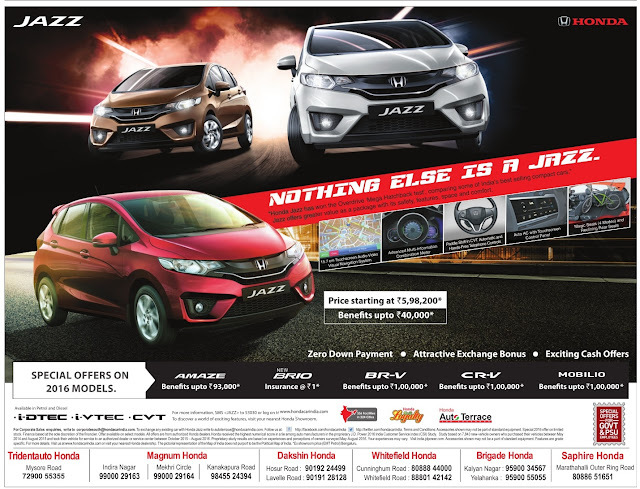 Offers applicable on Honda Amaze, Brio, BR-V, CR-V, Jazz, Mobilio.